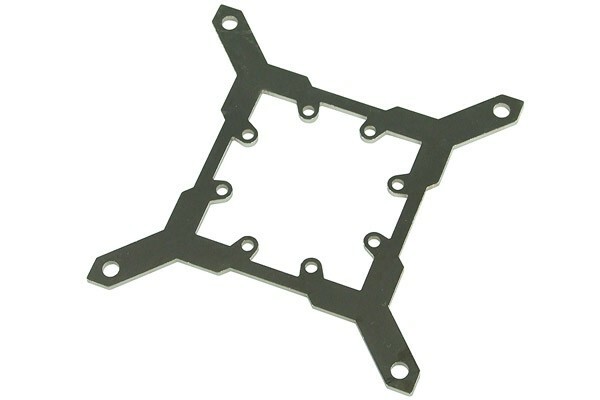 Replacement mounting plate for the popular Phobya CPU waterblock. For replacement of the original mount simply put the waterblock on a flat surface, remove the 8 screws of the mounting plate and remove the original mounting plate. Then simply put the new mounting plate in the place of the old one and tighten the screws. Done!